Contract Baking Company | Michel's Bakery, Inc. When you’re looking for the ideal contract baking partner, you can’t settle for anything less than proven excellence. Michel’s Bakery offers premier contract baking services, providing bulk baked goods with a level of quality, reliability, and customer service that’s truly unmatched in our industry. We have nearly twelve decades of experience as a contract baker, producing an array of standard and custom-developed recipes with renowned precision. 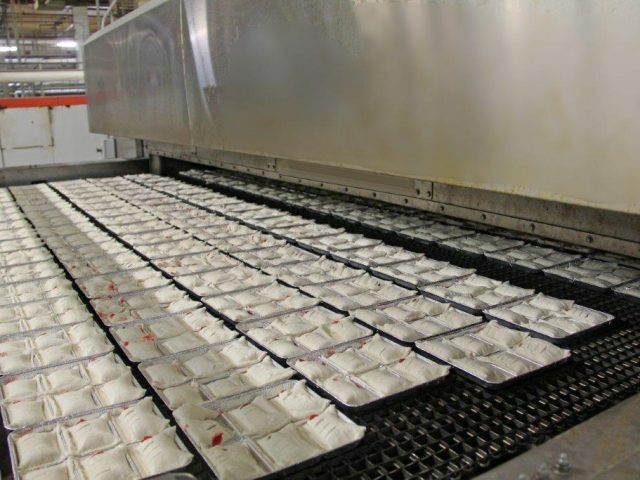 Michel’s Bakery is your trusted partnered manufacturing operation without the overhead or headache, helping you scale up and commercialize quickly. No matter what the nature of your exacting specifications, we’re capable of meeting all of your needs. With contract baking, the right fit is everything. If you’re unsure whether Michel’s Bakery is the best choice for your large-scale baking needs, just reach out to us today, and we’ll be happy to talk about it. All you have to do is click below to get started! There are many bakers out there, but very few can boast our level of proven experience and dedication to excellence. We’ve been a family-owned and operated contract baking company since 1898, so we have the experience needed to serve your requirements with distinction. We have the supply chain capability and established relationships with material vendors you need for a successful product. No matter what the size or scope of your project, we’re equipped with all the right knowledge and technology to handle it. Whether we’re using your recipe or ours, you’ll receive a winning product time and time again.